It’s Time D-Heads! This week we travel into the Past, the Present and the Future as we welcome MICHELINE PITT (Creative Director for The Magic of the Mary Blair Collection, Pinup Girl Clothing) to the show! 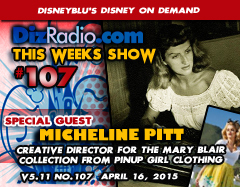 Micheline stops in and talks about the Disney Legend Mary Blair, her artwork, and the All-New Clothing Line featuring Mary Blair in the Magic of the Mary Blair Collection from Pinup Girl Clothing, working with the Blair family and more. 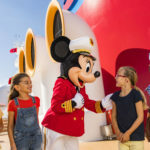 In addition we have the D-Team back as Erin answers all your questions in I Want to Know, Caitlin brings you the latest from the Walt Disney World Resort in WDW-In-2, and Nathan looks back with This Week In Disney History. And no show is complete with music and Paige uncovers some in the Magical Music Review and Jason digs deep into The Vault. And for all you tech heads Randy is here with the latest from Disney Multi-Media. 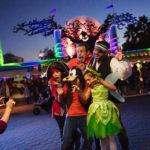 There is news hot off the D-Wire as we bring you coverage of the Star Wars Celebrations Force Awakens Panel, a look into the Star Wars Universe, news about The Walt Disney Company, Disney Channel, the Radio Disney Music Awards, Adventures By Disney, Songwriters Appearances, and so much more!